Does Legend of Zelda: Breath of the Wild Look Better Without Cel Shading? When the first trailer for the Legend of Zelda: Breath of the Wild hit, I was equal parts excited and disappointed. Simply put, it looked epic. It was the first time in years I was really pumped to get into a Zelda game. The disappointment came from the use of cel shading. Don't get me wrong; Breath of the Wild turned out beautiful. I don't mind games that focus on style over realism, and that's clearly the direction they took. Breath of the Wild is like a compromise between two radically different art directions—it has the cel shading made famous in Wind Waker, but with more realistically proportioned character models. It's a good middle ground, but it wasn't what I wanted. In the back of my mind, I kept thinking how a less anime style would look so much better in Breath of the Wild. Thanks to gratuitous modding, we can now see for ourselves. If you didn't know, yes—mods are possible in Breath of the Wild. I've seen some goofy applications of it, such as Link riding on Sonic or (Goddesses save me) playable Bowsette. Sadly (or perhaps fortunately), you won't be playing these on your Switch. Instead these work by running the Wii U version of the game through an emulator. Not exactly widely available, but still interesting to see what people come up with. Watching this video, I can't help but think this is what I hoped Breath of the Wild could be. Without cel shading Breath of the Wild bears more resemblance to Twilight Princess (or even Ocarina of Time's Unreal Engine remake). I've always been drawn to the Zelda games that are less cartoony and more serious (Majora's Mask being my all-time favorite). Here's another video, this time looking around Hyrule Field. It just looks so... good. So right. Still just as vibrant and beautiful, but with a realism that (for me at least) makes it easier to connect with. I can only imagine how easy it would be to get lost in a game like this. For me, this could have pushed Breath of the Wild into a whole new category, an 11/10, beyond perfect. But what about you? 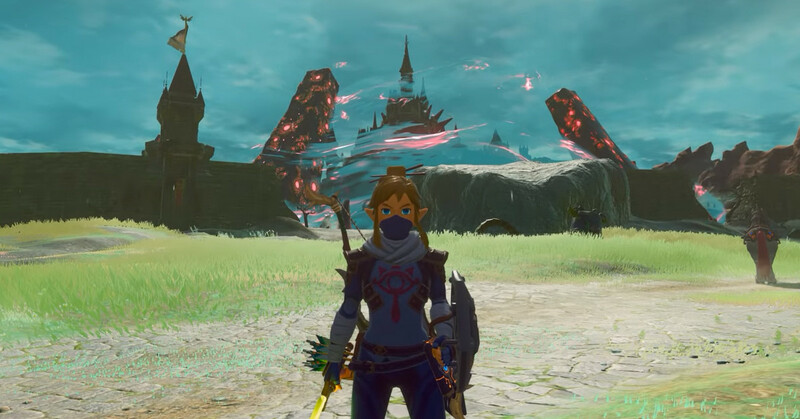 What do you think of Breath of the Wild without cel shading? Do you agree with me, or do you prefer the anime look? Let me know in the comments!